For the collapse theory: it appears the petro dollar is being dumped which bodes ill for the dollar remaining the prime reserve currency. ——– does not think it will and that SDR’s will replace it. Surely as this eminent position of the petro dollar declines, there will be further debasement? (loss of purchasing power) – the opposite of a stronger dollar. These two factors (a) and (b) seem to be very much at odds with each other. Does not a strong and growing stronger currency boost confidence in government? or at least keep it in power. 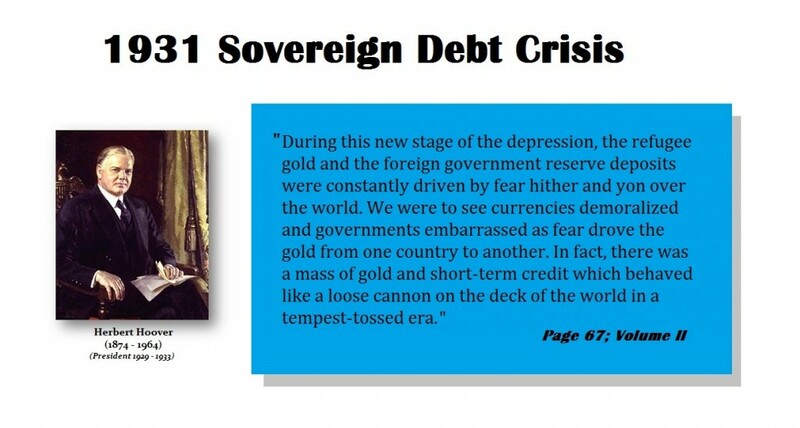 We have a debased dollar as per the examples you gave re the silver content of our coins from 1964 till now and we see what happened to the Romans who did the same thing, so it is hard to wrap your head around the fact that our debased dollar is growing stronger. (understood that its strength is relative to other currencies). Is this because no matter whether confidence is lost confidence in government, the money is all people have to hoard in deflationary periods which makes paper money become more valuable for a time (only)? I also understand that the bad situation in Europe will drive money over to the US which is on the plus side for the dollar. Exception: we see in the case of Zimbabwe, that although its currency collapsed, Mugabe still has the money to pay his army which keeps him in power. I expect Mugabe gets US dollars from what is left of the country’s exports and somehow has nationalized the businesses that produce those dollars – in order to get his hands on them. Just guessing. The US has not yet reached this point, although examples of mismanagement become more evident by the hour. I also keep in mind Greenspan’s quote: “There is no place to hide”. I hope you are going to tell us in due course where to hide when so many of our assets are just numbers on a screen. Understood is the importance of asset allocation, but that does not take care of investments in brokerage accounts. Perhaps it is not possible to protect these. So … it is the seeming inconsistency of the (a) and the (b) that I wonder if you could/would shed some light. ANSWER: The facts you are putting together are old and out of date. 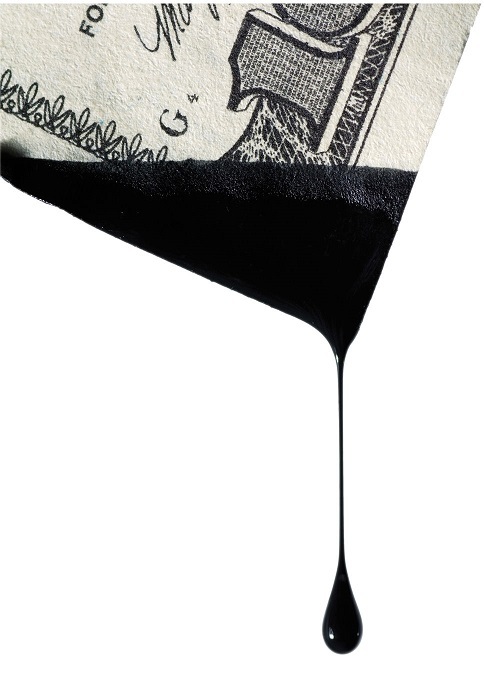 The US dollar has nothing to do with oil. The days of the petro-dollar are long gone. The USA is now exporting energy and electric cars are here. I bought one myself. It is a hybrid that gets 75 miles to a gallon. That is slightly better than my sports cars when I was a kid where 8 miles a gallon was fantastic. Saudi Arabia is in serious trouble. They have all had to pump more just to make ends meet because they are now forced to borrow money to fund budgets that expected $200 oil forever. Your scenario about confidence and a currency is a bit skewed. As an economy declines, the currency rises because people stop buying assets and seek to go to cash. This is why the dollar rallied during the Great Depression as well and the deep recession from 1980 into 1985 forcing the government to create the G5 (now G20) at the Plaza Accord in New York. The yen rallied dramatically into 1995 falling to 75 to the dollar when the country was also doing terrible. It rallied again into 2011 when all looked rather bleak. In all of these cases, there was no concern that the government would collapse. Demand for the currency rose in each affair. This is not on par with a collapse in confidence in government to the point of hyperinflation. To produce that result, nobody is willing to buy the debt so all they can do then is print. In that instance, it all flips. You spend the money to buy assets. A normal correction you sell assets that crash to go to cash. Yes we peaked in government 2015.75 and have begun a downward cycle in public confidence. We are witnessing this on a GLOBAL scale at a far greater pace than within the United States. 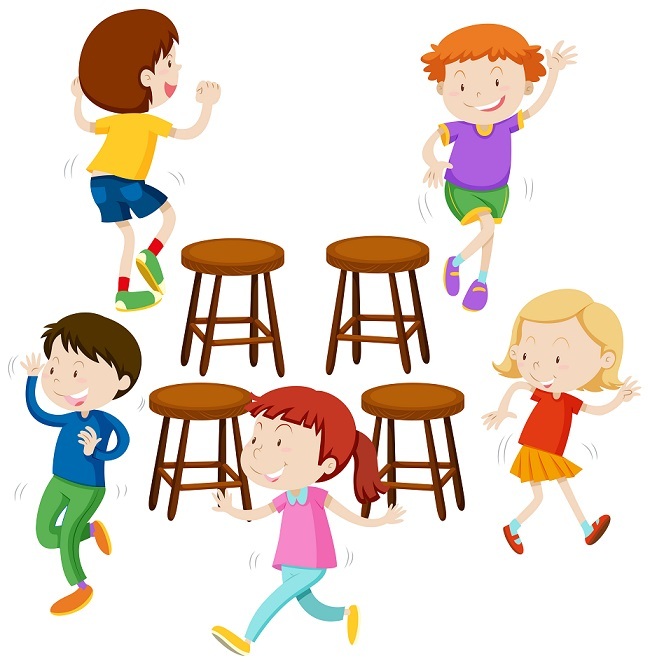 This is a game of musical chairs. Capital is moving from one to the next until there is just one standing. Then the final shoe will drop. Read Herbert Hoover’s memoirs for 1931 and you will see what he described was the same behavior when Greece was in trouble starting in 2010. The USA will be the last to fall. I have been warning this is simply how things will play out for years because the USA is the core economy like Rome in ancient days. The disease always begins in the limbs and then moves to the chest and finally strikes to heart. So dollar up as the disease is in the limbs. Then the rise in the dollar will force political change on many levels. Not the least will be a new monetary system, but that is the end-game once it hits the chest. We are not there yet. It’s coming. As for SDRs, I proposed that back in 1985, The White House responded to me with a two-page letter stating that such a system would mean the government will lose domestic policy objectives for international. That is happening right now any way. 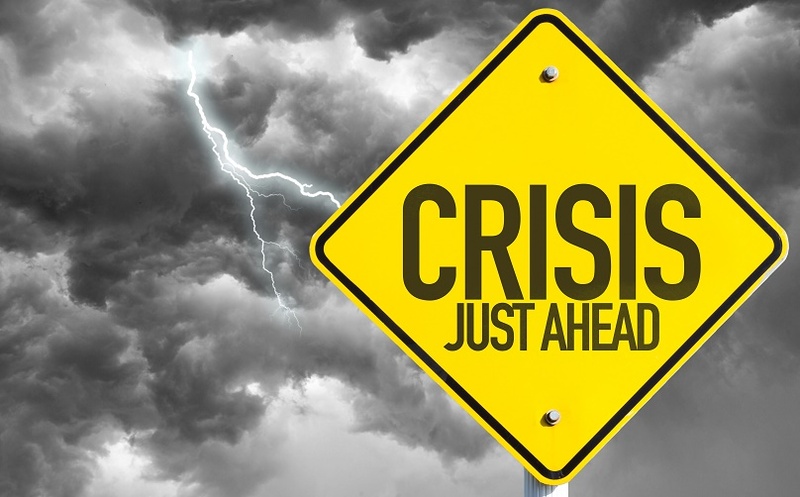 The Federal Reserve is becoming the central bank for the world because it is chaos everywhere else. Today, however, I would oppose the IMF SDR system for the IMF is way too corrupt. I have told how I was invited by Edmond Safra to the IMF Washington Dinner he put on for the IMF renting the entire National Gallery. Everybody was there from politicians to Paul Volcker. I was told bluntly to join the bankers “club” back then. I was invited to demonstrate to me that they had the IMF in their pocket. They poured money into Russia and the IMF was to keep the loans going. When they could not, the whole mess collapsed. 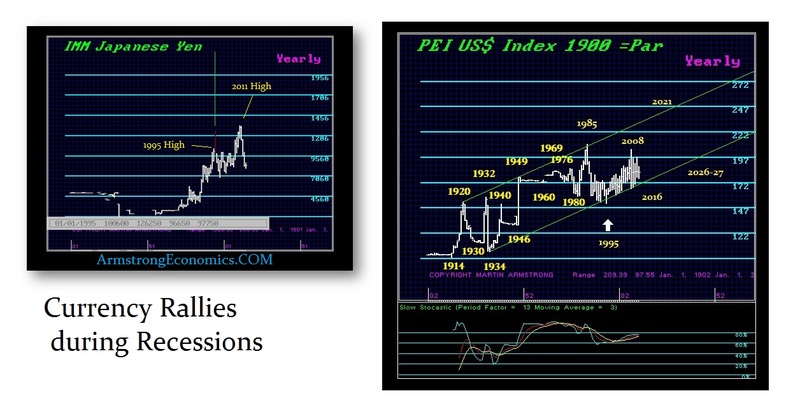 That produced the Long Term Capital Management crisis and the first Fed bailout. 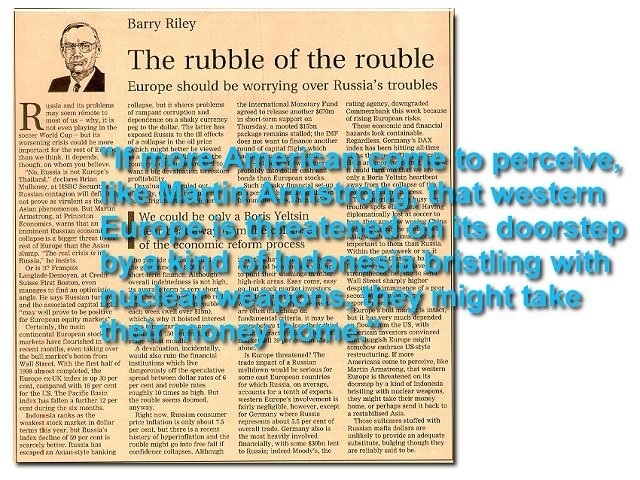 Because the London Financial Times had reported on the front page that at our London WEC in July 1998, I delivered the forecast that Russia would collapse in a matter of weeks, that began this whole mess alleging I manipulate the world economy because I must have more people on my side than they did on their’s. People judge others by themselves. The “club” tries to manipulate the world paying bribes and controlling mainstream media. When my forecasts become correct despite all their machinations, they scream I am the one manipulating the world because they lost. Nobody can manipulate the world and if these fools do not figure that out, all I can say is they are not even at the dumb and dumber level of stupidity. To break the world monetary system, that will ONLY take place with a rising dollar. But with a declining outcome thereafter. You are just missing that part that FIRST the dollar must soar to screw up the world to create the change in the monetary system and that illogical proposition is in fact what makes it happen. Forget about petro-dollars. They are history. Measuring confidence is key. The confidence is turning against government now. We can see that with Trump and Bernie. The masses are not so happy. They are rising up everywhere you look. In Europe we have 2/3rd of Germans against Merkel. In France, the biggest union uprising is forming against Hollende. We have Greece in trouble, Britain voting on whether to stay or go, Catalonia voting to separate from Spain, Austria rigging the election claiming write-in ballots of just 31,00 decided the election, and Brussels is trying desperately to prevent any democratic vote because they know the people are turning against the whole euro idea, which is the federalization of Europe. Don’t worry. Just go with the flow. It’s happening fast. Just let go off the old-world theories. 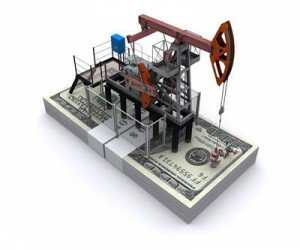 The reserve status of the dollar cannot be changed by pricing oil in even rubles or yuan. The reserve status is created by the fact BIG MONEY can park in US debt. It cannot park in European debt which remains in chaos outside of Germany. Britain, Canada, Australia are too small, Japan is too restrictive, and China as well as Russia are not quite ready for prime time. The debt has to turn belly-up in the fish bowl to change reserve status. It is not even something the USA, China, or Russia can decree. This is created by the Invisible Hand which is beyond the control of governments. People who have no real world experience in trading or seriously advising in the big leagues have way too much time on their hands to come up with theories that amount to just sophistry. You would not ask someone to operate on your brain because they smile nice or sound good but happen to be a piano player instead of a doctor. There are just some things you cannot understand without experience. That is why school is so bad in the social sciences (economics) beyond reading, writing, and math. It teaches theory – not reality.